At one point during Inside Llewyn Davis, I scribbled on my pad 'is this about loss?' By the end, the answer was 'yes'. That answer is one which, for me, makes Inside Llewyn Davis a much cleverer film than it's being given credit for in some quarters. This isn't just a look at one schlubby man (Llewyn, played by a brilliant, bearded Oscar Isaac) navigating smoky folk joints in New York, by way of estranged and pissed off friends. Inside Llewyn Davis is much more than that because, without signposting it for you, this is the Coen's making their film about how you move on when someone close to you has passed. In other hands, there would be over-wrought conversations everywhere. Every discussion would be about the person who has passed on. Every moment could be dedicated to them. Real life isn't like that. 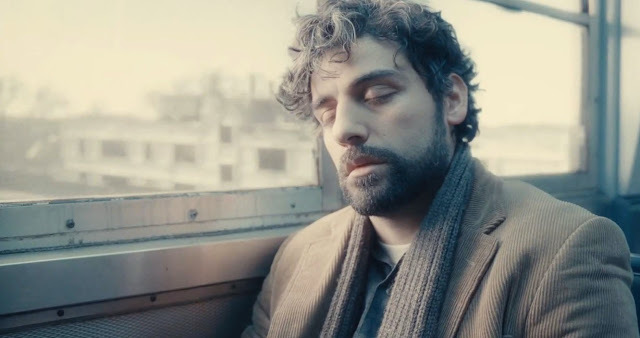 In real life, Llewyn has to get on with things; attempt to earn a dollar and fashion a solo career in folk, repair things with friend Jean (a brilliantly sweary Carey Mulligan), find a sofa to sleep on. 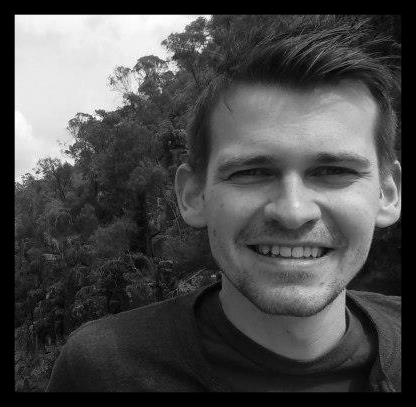 In real life, problems aren't always on the surface, but that doesn't mean they're not bubbling around underneath; showing themselves in an argument, a patch of despair, a need to connect, the choice of record on a player, an over-whelming feeling of tiredness. Not that loss excuses Llewyn and his, at times, horrible behaviour. The start of the final third may well be the point The Coen's, and the film, signal that you can almost give up on him; a key decision in a car stopped in its tracks on the outskirts of Chicago isn't made and shown by accident. The scenes around that decision are the film's low point. Stopping the fantastic narrative in New York so that Llewyn can spend a bit of time in a car with John Goodman and Garrett Hedlund on the way to Chicago feels like the point the film reaches its 'Inbetweeners moment', runs out of ideas and packs its characters off on holiday. It adds really little and the conversations with the other two stars - and the cat - lack the sparkle of the script in other areas. Perhaps though, a journey was needed and perhaps too it might come to be realised that Inside Llewyn Davis has more in common with a previous Coen film, O Brother Where Art Thou, than the prominent, brilliant, music. Watch for a key reveal of the name of a 'character' towards the film's final moments. Has Llewyn completed his own inept, shambling Odyssey, in order to get to the reality of his own bleak existence? And there is no doubt that it is bleak - possibly, with what it has to say about loss, human nature and circularity - amongst the Coen’s bleakest. Llewyn arguably hasn’t moved much from where he started the film - in literal terms, in fact, he’s only made it to the end of the alley - and there are hints that there might be even worse things to come for him. But for all that, this doesn’t have the near-nihilism of Burn After Reading, which abandons its characters to blind chance and ill-deserved random murder. There is, and this is something fairly new for the Coen’s I’d say, a smattering of hope. You have to look really closely to see it, but peer into those bushes at the side of the snow-dusted freeway and it is visibly there, moving around in the undergrowth, hinting that, at some anonymous point in the future, Llewyn might yet be redeemed. Inside Llewyn Davis is released in UK cinemas on Friday 24th January 2014.